Child labor greatly contributed to the cultural and economic success of the British Victorian theatrical industry. At the end of the nineteenth century and into the twentieth, there was an unprecedented increase in the national labor force of theatrical child employees, followed by its subsequent, slow decline. It was during this time that wide public debate ensued and when child performers were taken under the umbrella of protective child legislation. A careful examination of the many off-stage identities inhabited by the performing child reveals a significant space, crucial to our understanding of aspects of both childhood and the theatrical industry. 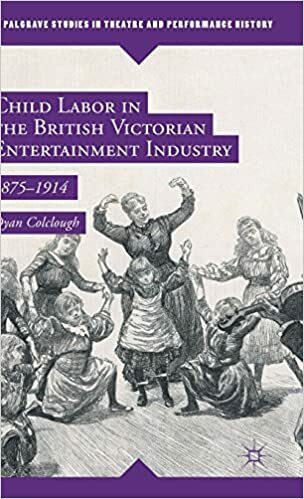 This book highlights the complexities of the battle for child labor laws, the extent to which they were mediated by the priorities of those who took on the theatrical industry, and the weight of opposition that confronted any attempt to control employers. Dyan Colclough is Associate Lecturer in the Department of History, Politics, and Philosophy at Manchester Metropolitan University, UK.